- Owen Hatherley, 'Casting Spells: The Vortex and the Absence of a British Avant-garde', 1-18. - Jamie Wood, '"A Long Chuckling Scream”: Wyndham Lewis, Fiction, and the First World War', 19-42. - Scott W. Klein, 'Night Thoughts on Editing Tarr', 43-61. - Anna Burrells, 'Satire Machines: Wyndham Lewis, Samuel Butler, and Erewhon', 62-80. - Peter L. Caracciolo, '"What rough beast": Yeatsian glimpses of "Utopia" in Wyndham Lewis's The Human Age and America and Cosmic Man (and what Tzvetan Todorov and Ernst Bloch, let alone Barack Obama, might make of it all)', 81-108. - David A. Wragg, 'Stating the Obvious? Lewis's Critical Reception: Pedagogy, Criticism, and Hermeneutics', 109-27. 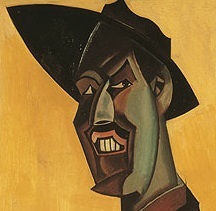 - Michael Durman, 'Wyndham Lewis (1882 – 1957) at the Fundación Juan March (Madrid, February 5th – May 16th 2010)', 128-49. - Michael Valdez Moses, '"We discharge ourselves on both sides": Vorticism: New Perspectives (A symposium convened October 29-30, 2010, at the Nasher Museum of Duke University, Durham, NC)', 150-60. - Nathan Waddell, Review of Michael J. K. Walsh (ed. ), London, Modernism, and 1914 (2010), 161-4. - David James, Review of Maren Tova Linett (ed. ), The Cambridge Companion to Modernist Women Writers (2010), 165-7.